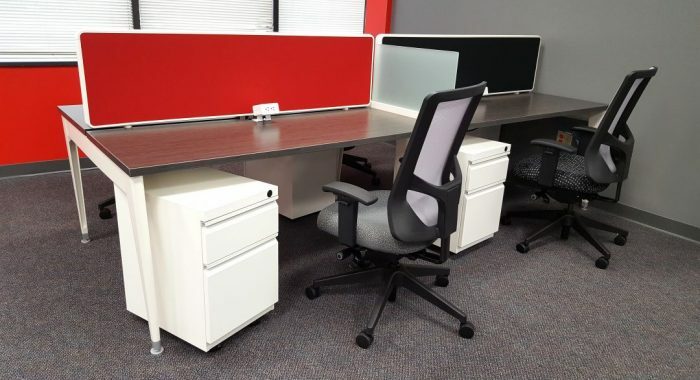 1 Source Office Furniture is proud to announce the addition of EKO Contract furnishings as an exceptional source for soft seating, hubs, benches and side tables. 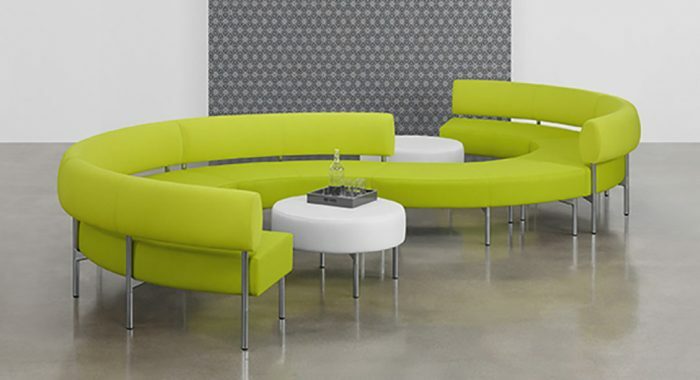 EKO Contract’s tagline is “The Craft of Seating” which is evident throughout their line of innovative office solutions. 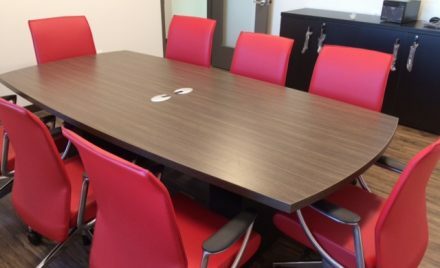 1 Source’s owner, Marc Rosen is pleased to offer EKO contract products because they fit his company’s dedication to adaptable, price-conscious furnishings that allow for collaboration, comfort and more. “EKO has a lot of style and is priced competitively. It’s a great solution for business owners who want something modern and unique in seating,” says Rosen, who started 1 Source Office Furniture in 2010, and has grown its clientele and offerings to fit a variety of office projects. What’s more, EKO Contract’s products offer modularity and customization with many kinds of business environments. 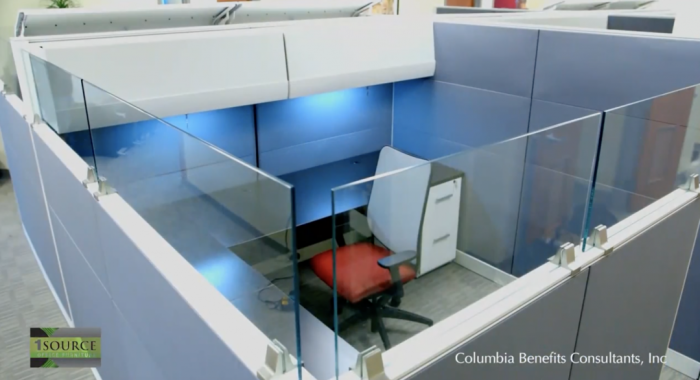 Their concept is in keeping with the trend to create work (and play) hubs within a company’s floorplan without using hard walls. 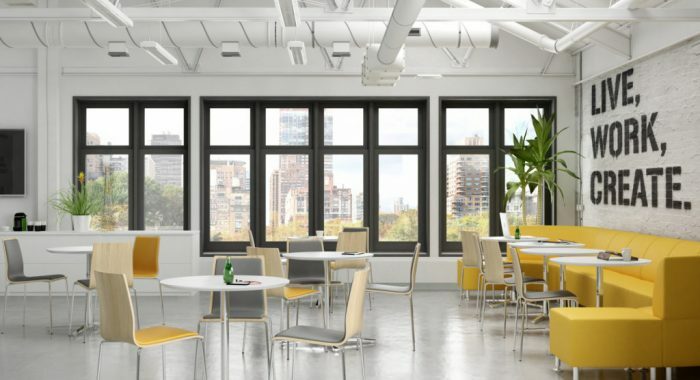 Among the offerings in EKO’s line is Sutton Collaborative, a club chair with modern lines, and optional fully articulating tablet which makes it a great choice for intimate, low-key presentations. H@KR is a tech-savvy unit with seating, power and privacy. 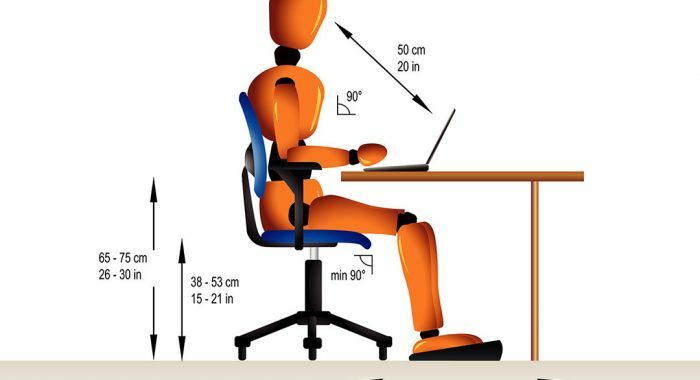 H@KR can be used as a private enclave for work within an open space. 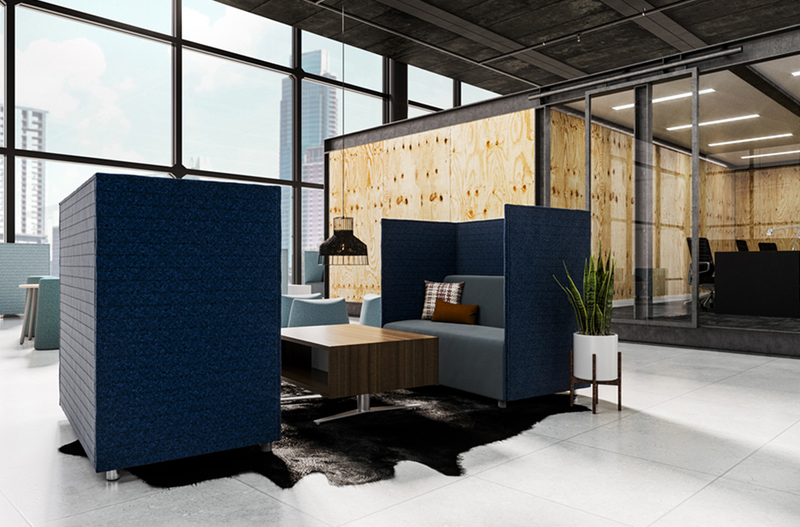 With many of EKO’s products, walls can be added in a modular fashion behind seats to reduce noise and enhance privacy. 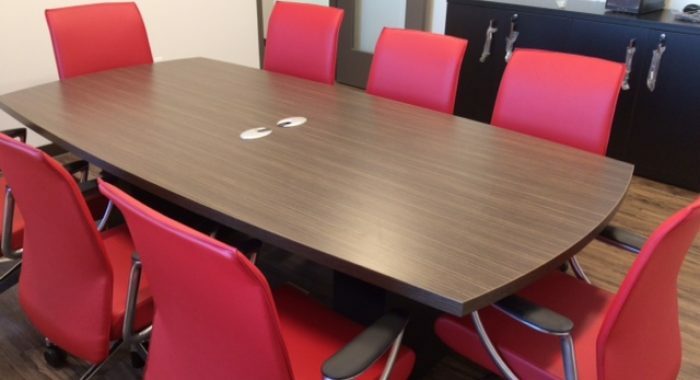 EKO Contract has been making commercial furnishings since 1986. The company is based in Cleveland, Tennessee. 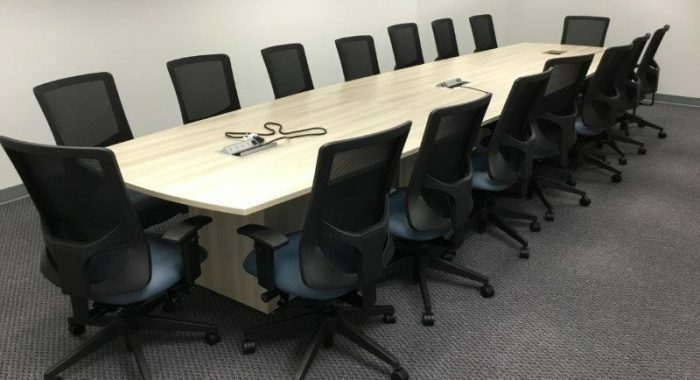 Get a quick quote on EKO Contract furnishings by calling Marc Rosen (410) 978-6500 or Laurie Rosen (410) 982-7032; or, complete any of the “more information” forms on this website.